Happy New Year! 2018 is upon us with new ambitions, opportunities, and goals. Perhaps you are amongst the vast majority of people who have set some sort of “New Year’s Resolution”, or accomplishment you desire to achieve in this year ahead. A new year is exciting, and offers a fresh start to get back on track with those things you have fallen away from in the previous year. For many people, the desire to get back in shape, lose weight, and eat healthier is high on the priority list. Wonderful goals, might I add! If caring for your body, and keeping healthy and well are goals on your list, today’s post may very well be of benefit to you. That is because we are going to dive into the “hot topic” of inflammation, and how supplementing with turmeric can help. It is hard to find someone whose body is not, or has not been inflamed in one way or another. You may not know it, but all those aches and pains we experience (literally!) in life, are signs of inflammation. Inflammation has gotten a bad name, but it is actually a good thing to begin with when kept in acute phases. (1) Imagine if you had a rock in your shoe, a splinter in your finger, or you fell off your bike and scraped up your leg. Those are all examples of acute inflammation. In these cases, the pain and inflammation are good things that signal your body that something is not right. Given time and appropriate action (such as removing the rock from your shoe), this inflammation will subside. 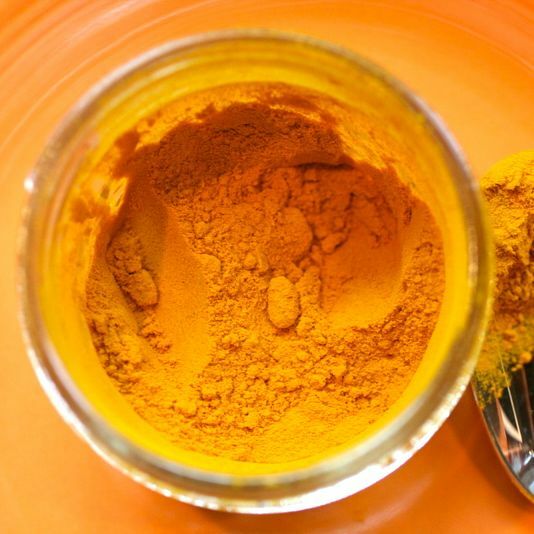 Turmeric has so many benefits to the body, above and beyond just combating inflammation. Other benefits include anticoagulant/anti-platelet, antidepressant, and even skin health. One research study on patients diagnosed with Major Depressive Disorder concluded that supplementing patients with curcumin was just as effective as prescribing them Prozac. (9) How neat would it be to start utilizing this valuable substance instead of many drugs that cause harmful side effects! I know this article may have your minds spinning with research, so before I conclude, I wanted to add a few of my favorite fun ways to incorporate turmeric into your daily routine. My personal favorite is to make “Golden Milk” by warming up a cup of sprouted almond milk and then dropping turmeric capsules or powder in. I also love to add a little bit of cinnamon to that one too! Other things I enjoy doing are adding turmeric to stir-fries or to ground beef for taco meat. It is messy, and stains easily, so be careful! Of course the best way to get larger amounts of turmeric into your body is through supplementation in capsule form. Certainly the dosage varies by person, size, or ailment, but nonetheless, as always, seek the best quality you can find. If you do not already have a preferred brand, consider three of the choices Radiant Life has to offer. First is this Pure Synergy Turmeric Extract, and second is Premier Turmeric made by Premier Research Labs and the third is Frontier Organic Turmeric Root Powder. I can highly recommend all of these options as they are both pure and Organic, and carefully extracted. Check out the links above for more specific information on each of them!